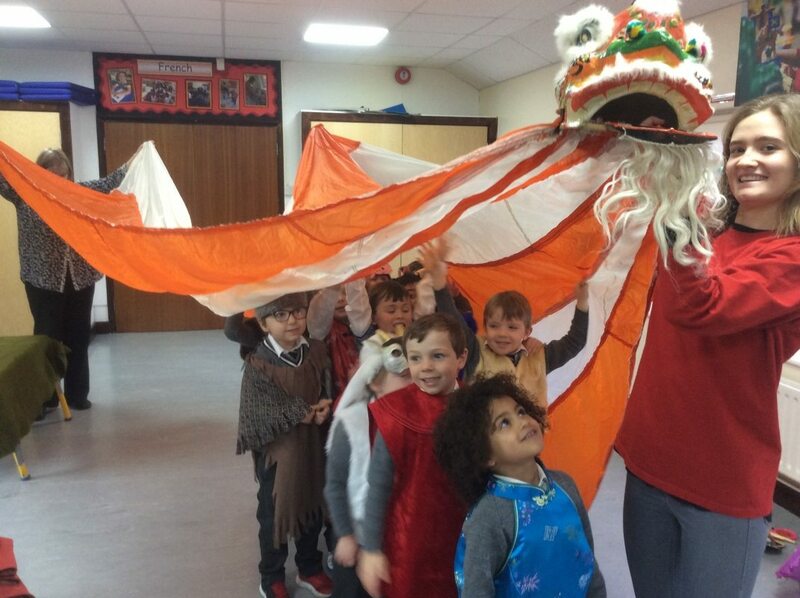 Leatherhead Pre-Prep: Chinese New Year! The children in Reception have thoroughly enjoyed learning all about China and Chinese New Year last week. They tried some Chinese foods using chopsticks, made lots of Chinese lanterns and dragons, but the best part was when the theatre workshop came to visit. They all enjoyed dressing up as the different animals from the New Year story. They practised cleaning and decorating their houses and even got to take part in a dragon dance!